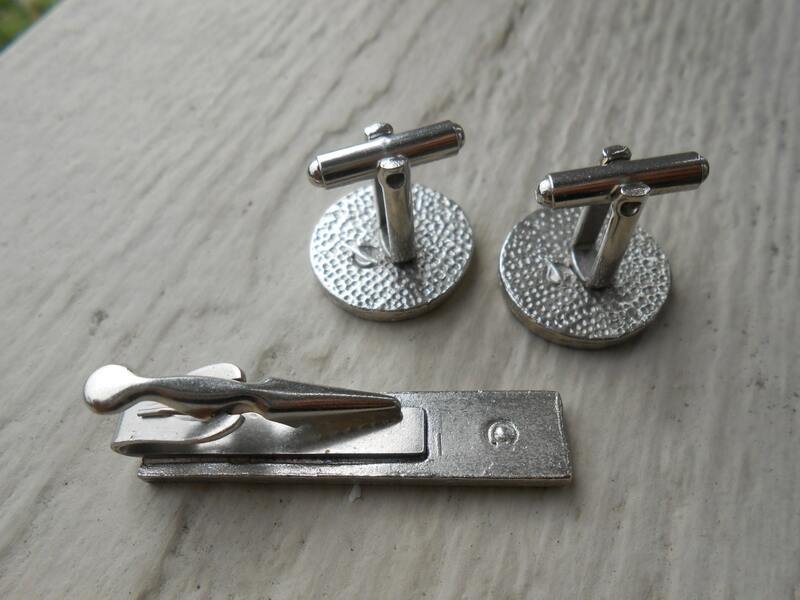 These vintage cufflinks and tie clip are pretty cool. 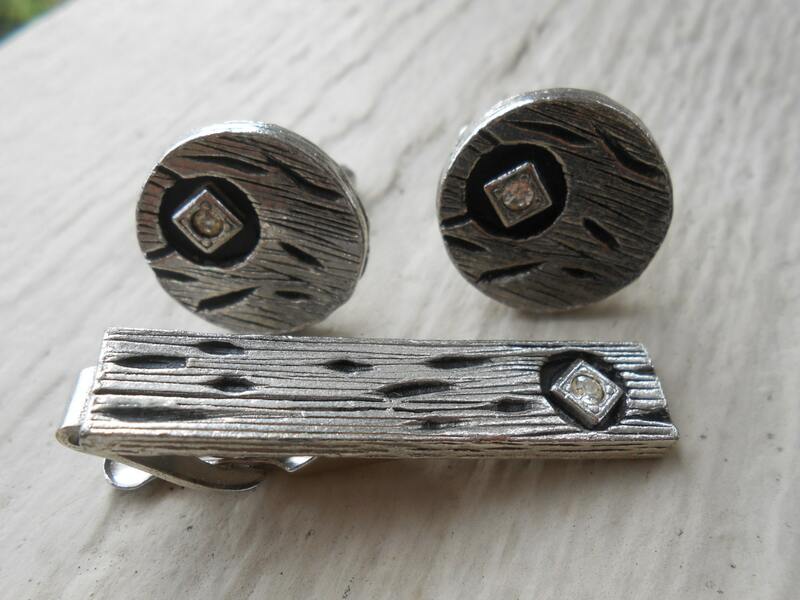 Each piece is a silver color, with some deep etchings and a rhinestone inside a square. 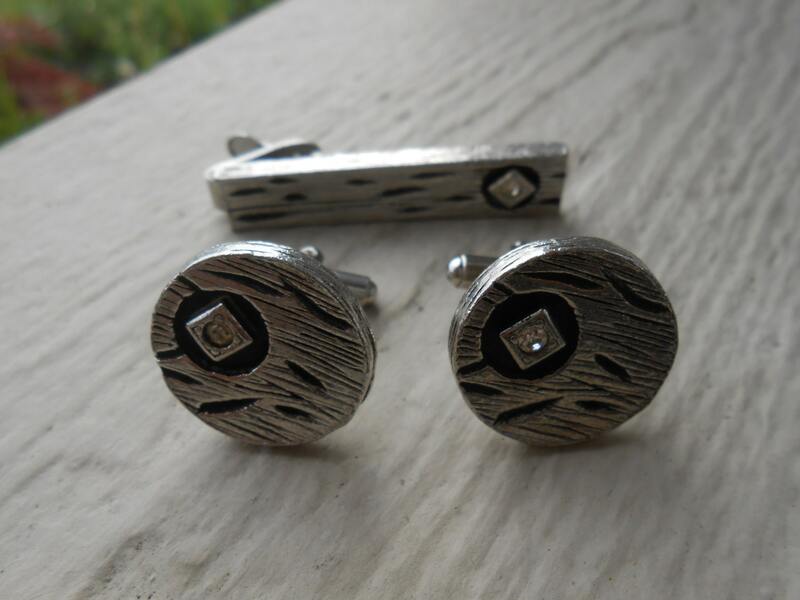 The cufflinks measure 3/4". 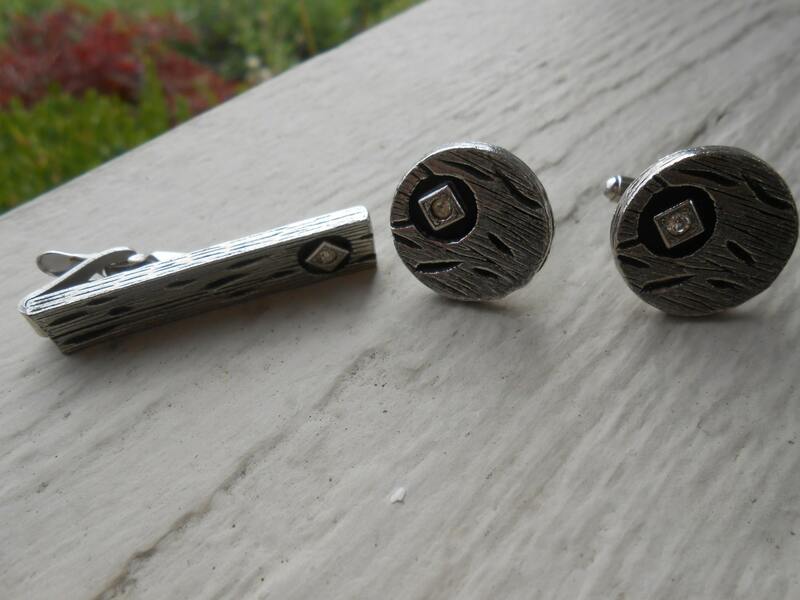 The tie clip is 1.75" long. 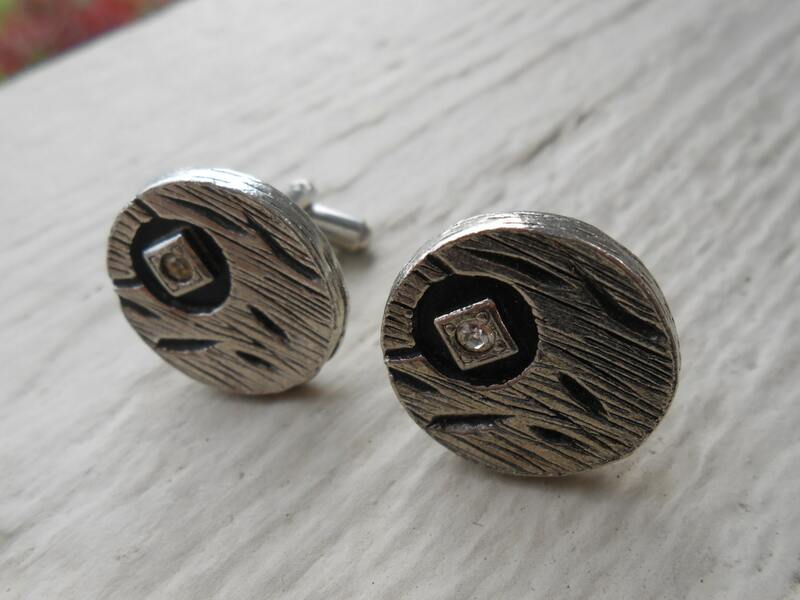 These were made in the 1980's and are in good condition.